Swing Street Big Band and Santa at Quinta Mazatlán! Quinta Mazatlán is kicking off the Holiday season with a music concert in the forest consisting of wonderful holiday songs of the season set to the lively beat of yesteryear! 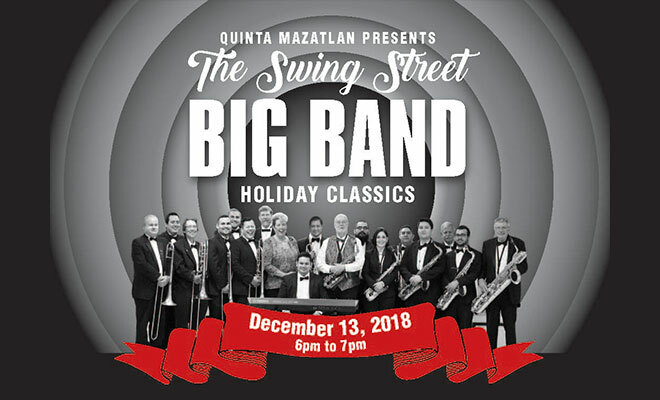 The Swing Street Big Band will perform at Quinta Mazatlán on Thursday, December 13th at 6 p.m. Sit back and listen to all the seasonal classics set to the upbeat rhythm of swing, jazz and blues style music. Classics such as “Let it Snow”, “Sleigh Ride”, “Jingle Bells Rock” & “Feliz Navidad” will get you in the Holiday spirit. Come and enjoy the songs and sounds that transport you back to your most cherished childhood memories during this holiday season! The Swing Street Big Band is a 17-piece show orchestra consisting of band directors who currently teach here in the Rio Grande Valley and retired band directors from the Midwest who are now Winter Texans. Special guest, Santa Claus, will be here as well. Bring your camera to snap a picture with Santa. Holiday Concert in the Forest is proudly sponsored by Texas Regional Bank. The program fee is $5. No advance reservation is required. Quinta Mazatlán is located 600 Sunset in McAllen, one block south of La Plaza Mall on 10th Street. 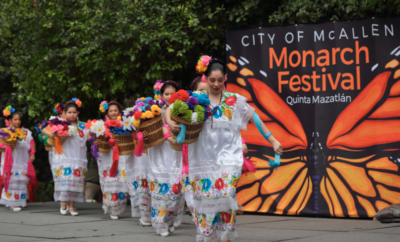 For more information, contact Quinta Mazatlán at (956) 681-3370 or visit www.quintamazatlan.com. 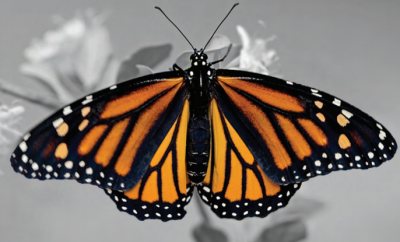 Don’t Miss this Monarch Celebration!